Hi, I’m Rob a wedding photographer in Norfolk, UK. I love weddings but it wasn’t my first passion when it came to photography. Starting out, I’d been a keen landscape photographer. It was a way to explore a creative side that in my job, as was, I didn’t have an outlet for. I found out that I was pretty useless with a paintbrush and that I can’t dance to save my life (two left feet) but a camera body, wide angle lens and a few grad filters opened up a whole new world to me. I loved being up early in the morning when hardly anyone else was around. The wide open countryside of the Norfolk Broads and the beautiful expanses of beach along the North Norfolk Coast gave me no end of places to inspire my photography. Photographed close to a lake at last light. 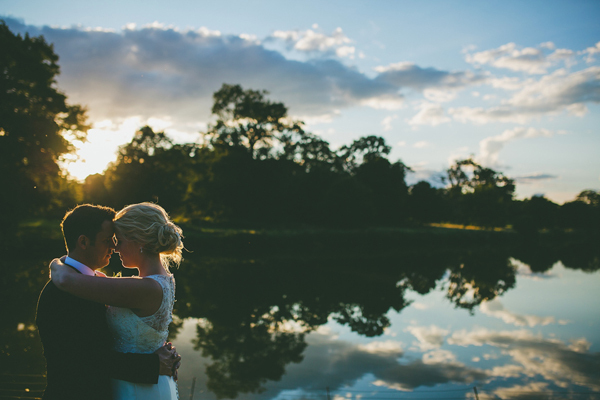 I saw the incredibly beautiful light and the sky reflected in the water and knew it would make for a beautiful portrait of the bride and groom. I didn’t give them any direction beyond where to stand and wanted to let them enjoy a quiet moment together. I later took a workshop with a local photographer and became good friends with him. In addition to his landscape work, he was a wedding photographer and every so often, I would second shoot with him. It’s safe to say that I got the bug. 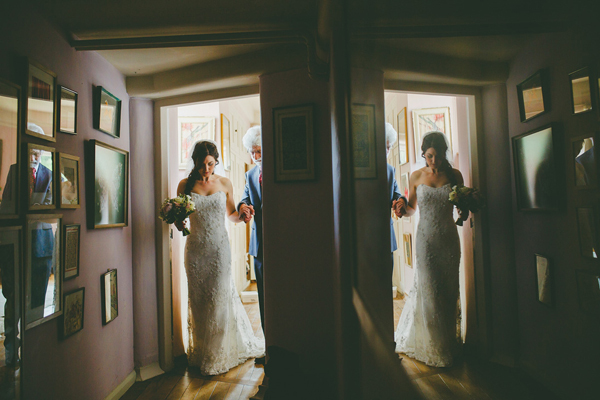 I love landscape photography but wedding photography had me instantly hooked! Being able to tell a couples story – capturing moments for them that they might not remember or, perhaps, did not get to see, to hand down to their children and their children’s children – gave me a real buzz! Fast forward a few months and redundancies at work were looming and my wife was heavily pregnant with our first child. So, throwing caution to the wind, I put what little money I had left into professional camera bodies, new lenses, a website and a year long programme of wedding photography training. The total sum was not insignificant and many times I wondered what on Earth I had done. 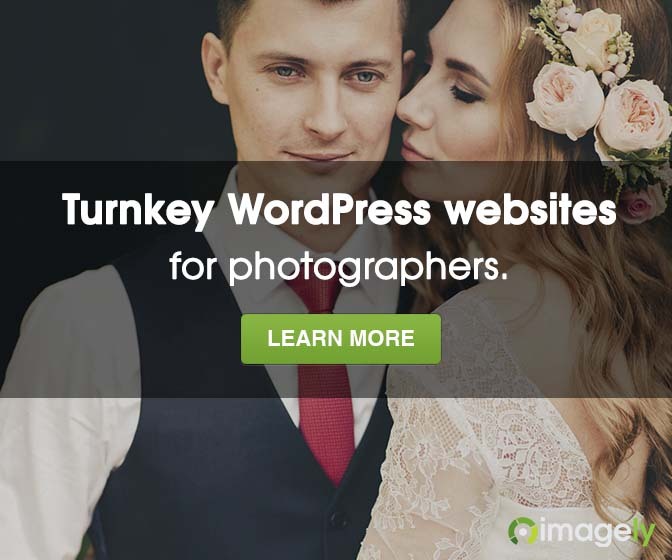 But five years on, business is good and I was recently accepted as a member of two prestigious societies, the International Society of Wedding Photographers (ISPWP) and the Wedding Photojournalist Association (WPJA). A father escorting his daughter up the aisle must be one of the most bittersweet moments. As a father to a daughter, it near overwhelms me every-time I see ‘that look’ in a father’s eyes. Tears of sadness and joy. But even though I know it’s an important moment, I don’t set up a time for the dad to walk in on his daughter, I don’t need to. There’s emotion in every moment – you just have to watch, wait and be prepared to capture it. If I can do that creatively, all the better for it! While my influences are many and varied, as time goes by, I am finding more and more that I am drawn to the work of photojournalist and documentary photographers both from within the field of wedding photography but also beyond it. This photography is increasingly having an impact on my approach to documenting weddings. This being said, the landscape and my love for a good sunset still plays a big part in my work.